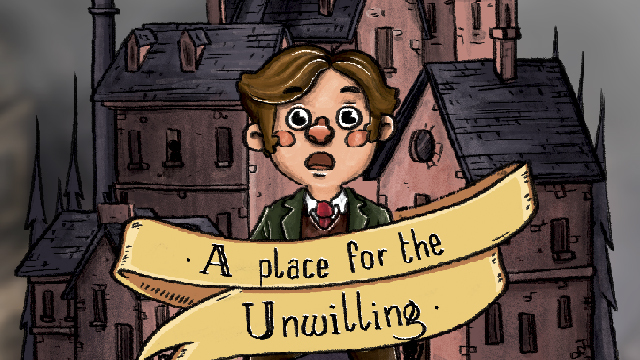 "A Place for the Unwilling"(by @AlPixelGames) is a narrative sandbox about the last days of a dying city. 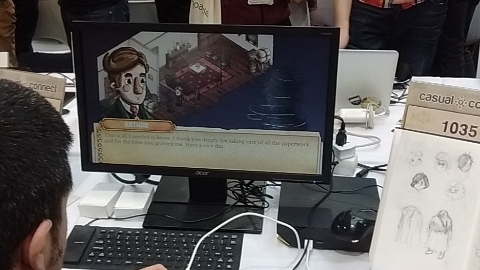 Read more about the game here. 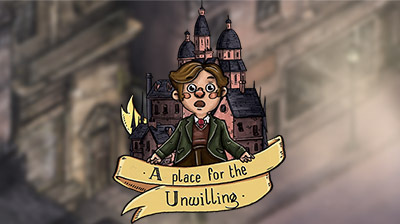 The city in “A Place for the Unwilling” is, without a doubt, the most complex and multifaceted element of our adventure, home to the rest of the fragments: commerce, relationships, gossips and the unknown. Therefore, the city must feel alive, organic, shifting and a reflection of the microcosms that lives within its limits. The story of our metropolis is tied to the ones of the seven great families that once ruled the city, in a tense but sustainable balance, and how the vanishing of five of them left the spectrum broken. Two of these families, the Yellows and the Reds, still play their part, sharing the power and being the key pieces in the big game. Their great tales, their treacherous parties, their complex and thorough methods to keep spreading their influence (and their tragic defeats and collapses as well); all that lives in the streets and the city’s history, its architecture and its constructions. Each quarter is impregnated with the heraldic color of one great family, and not just in a figurative meaning. Each of the three quarters has built its foundations upon the history of one of the great surviving families; its architecture and color palette stands for those ancient rulers. To the eyes of the player, these three quarters can be easily differentiated with a quick glance but, despite this, they still keep their coherence and remain as part of a bigger whole. The rich part, separated from the rest by a long and guarded bridge, is a quiet oasis in this crowded city. Urbanistically planned as a residencial area, its streets are wide, with little activity and enclosed by two-story buildings. Homes for single families in its majority, their facades speak of a calm and quiet lyfestyle, free of frights, that only a few ones can afford. The upper class will try to avoid blending with citizens from other quarters, that’s the reason why small shops and stores can also be found in here; mostly dedicated to first quality goods and luxury items, gentlemen clubs and tiny establishments where the friendly face of the owner is a quality guarantee. The poor quarter lays on the oppostive part of the city, the slums, where a richman’s shoes would never dare to enter, not even on their carefree flânerie. There are no regulations in here, this part of the city is reigned by chaos and necessity. Its eclectic architecture, along the cheap waste materials like wood and plate, provide shelter to a great rural multitude that moved to the city after its sudden industrial burst; giving birth to a breathing creature, of muddy shades and incoherently beautiful shapes. New constructions are born from one day to another between the pointed arches, plate walls or six-story huts with a Renaissance tower on the top. The power of the Yellows and their ancient domain is clearly reflected in this quarter that, as if it were an exposition of macabre curiosities, collects pieces of every past domains only to throw them back to the world among rats and steaming sewers. Between these two, in no man’s land (but still triumphantly dominating)sits the central quarter. Big administrative and residencial buildings stand in the way of the sky. The main and most important buildings are located here, rising in the city’s main street and welcoming those who arrive to this place. The Red’s influence is easy to see in this area, as much in its color palette as in the burocratic and disciplined nature of its buildings. 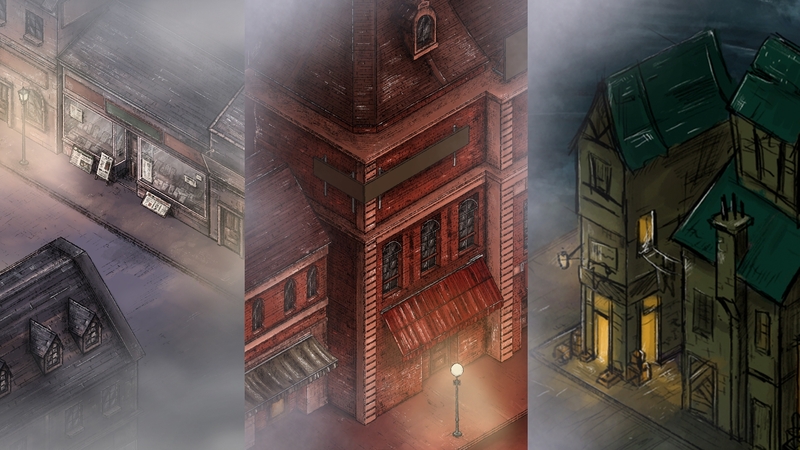 The city hall, the hospital or the church are three examples of the power gathered around these busy streets. Everyone must traverse them at some point, either due to some procedure at the city hall or to end their miserable lives at one of the hospital’s seedy beds. This coming and going of people is the true secret of the central quarter and its unifying nature. 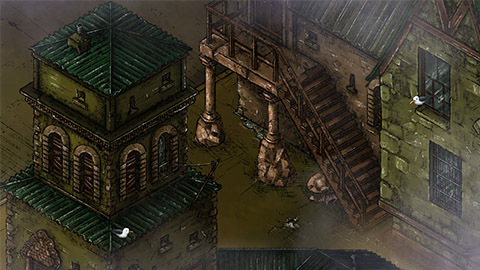 The color palettes of the other quarters invide the central streets, like feet being dragged, coating with their essence the streets that connect the center of the city with its bordering quarters. 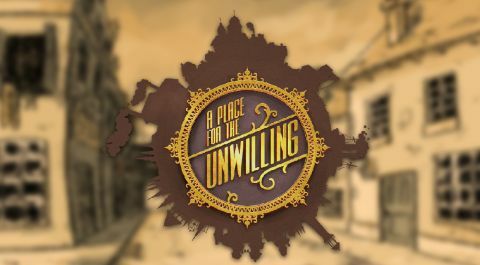 The architect has left his blueprints perfectly clear and we, at AlPixel Games, will keep placing brick upon brick to accomplish his design and prepare for you the city of “A Place for the Unwilling” just like he conceived it.